It doesn’t get more detailed than this. Lúcio is the latest Overwatch hero to speed-boost his way into the game’s collection of statues, and fans can get their hands on the support hero’s newest collectible in just a few months by pre-ordering the statue today. Standing at just over 10 inches tall, the new Lúcio statue is painted by hand and will cost the usual price of $175–the same as the majority of the other hero statues in the line of collectibles. The closely-detailed statue features the support hero in his full DJ attire skating atop the Overwatch logo with his Sonic Amplifier in hand. With the addition of Lúcio, the game’s statue collection has grown to a total of nine Overwatch heroes, including Mercy, Reaper, Widowmaker, and Tracer. While the majority of the statues cost $175 each, the statues for Doomfist and D.Va cost $450 and $300, respectively. 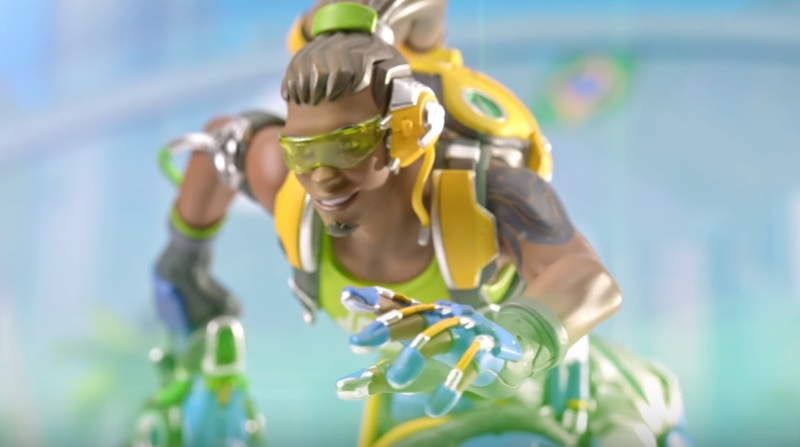 The Lúcio statue is scheduled to ship before the end of the third quarter of this year, which will be sometime between July and September, meaning fans of the game won’t have to wait too long before they can show off their own Lúcio statue. Overwatch fans can now pre-order the statue from Blizzard’s gear store today.